This week in the Bigg Boss house began with... no, not a fight. The contestants were left without any milk, sugar and coffee powder in the kitchen, which was stolen by some of them for their personal use. Dipika Kakar and Megha Dhade were annoyed over the theft and later, they came to know it was stolen by Rohit Suchanti and Deepak Thakur. Megha and Jasleen asked them not to overuse or steal things from the kitchen as it is meant for everyone's use. Later, over a discussion, an ugly fight broke out between them - Megha and Jasleen vs Rohit and Deepak. Rohit said that Jasleen and Megha will get evicted, which made them very angry. The duo lost lost their cool on Rohit and Deepak. Surbhi Rana supported Rohit and Deepak while Romil Chaudhry fought for Megha and Jasleen. This wasn't the only fight that happened during the day. Sreesanth vs Surbhi continued on Monday's episode too. Dipika and Romil asked Sreesanth to apologise to Surbhi for his derogatory comments on her, but he refused. Later, Sreesanth, angry over Dipika and Romil's words, sent sorry to Surbhi. However, his way of apologising irked Surbhi, Somi Khan and Karanvir Bohra, who told Sreesanth that he's "ashamed of his actions." Later, Bigg Boss announced that since no eliminations took place over the weekend, Dipika, Deepak, Megha, Romil and Jasleen, who were nominated for evictions last week, will be nominated for this week too. The counting of votes would happen by adding last week's and this week's number. 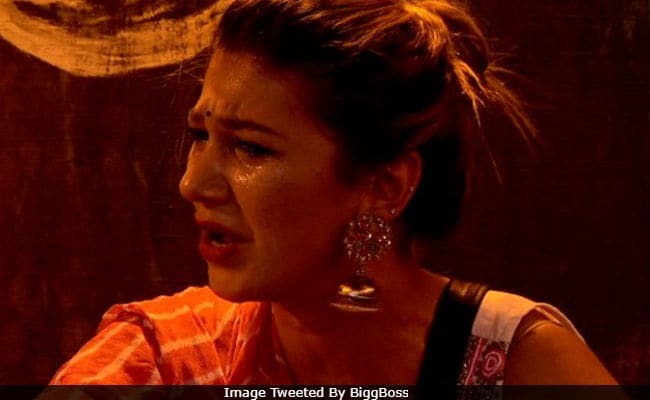 In the precap episode of Bigg Boss 12, we saw a glimpse of the luxury budget task that will happen on Tuesday, in which the contestant will fight for captaincy and also to increase the final prize money.